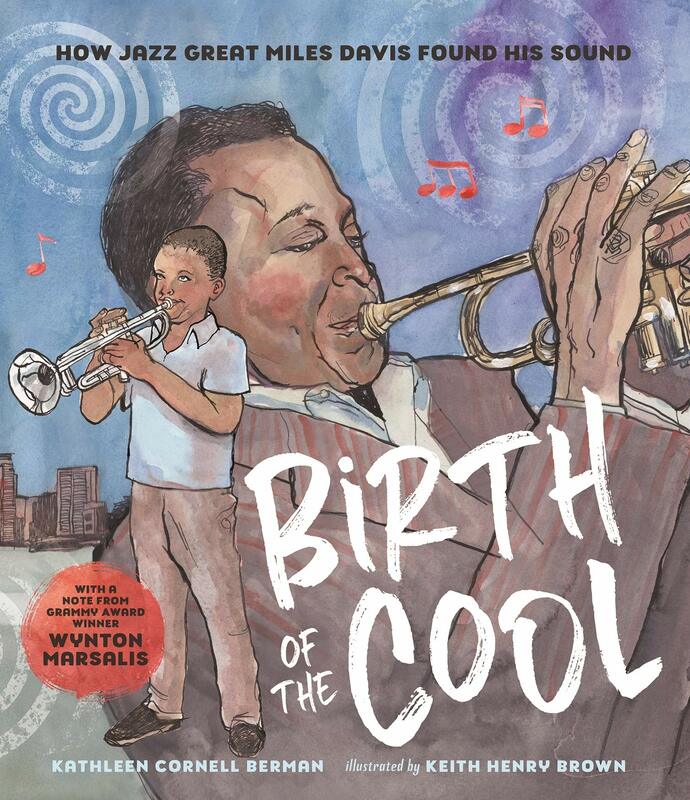 Author Kathleen Cornell Berman has a new picture book titled, THE BIRTH OF THE COOL: How Jazz Great Miles Davis Found His Sound. Illustrated by Keith Henry Brown. Kathleen has agreed to share a book with one lucky winner. All you have to do to get in the running is to leave a comment. Reblog, tweet, or talk about it on Facebook with a link and you will get additional chances to win. Just let me know the other things you do to share the good news, so I can put in the right amount of tickets in my basket for you. Sharing on Facebook, Twitter, reblogging really helps spread the word for a new book. Thanks for helping Kathleen! 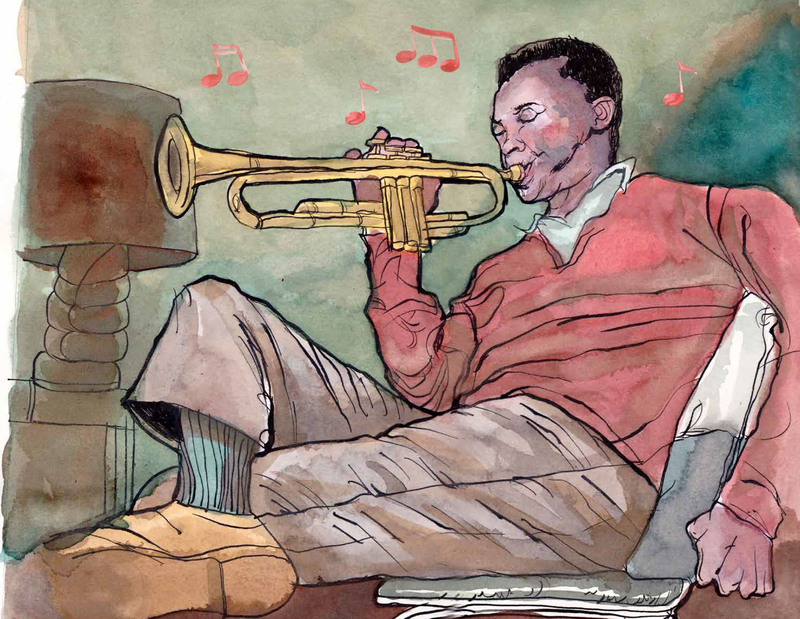 With evocative illustrations, this glimpse into Miles Davis’ life is sure to captivate music lovers young and old. During a long car ride I asked my husband to help me brainstorm ideas for Tara Lazar’s picture book month. I was anxious to write a picture book bio and my husband suggested Miles Davis. I was thrilled with the idea since I’ve always been a fan of Miles. I first heard his music when I was about 11 and immediately fell in love with his trumpet sound. I was always curious how Miles’ trumpet sounded so different from Louis Armstrong’s. Needless to say I became a jazz fan. I read many books about Miles, including his autobiography, and several magazine articles. I also listened to many of his interviews on YouTube. I was overwhelmed with the information. I knew the main objective was to discover how he developed his unique sound, so I dug deeper and focused on his motivation and passion. I wanted this biography to be different and to show readers how Miles worked to get that sound, and to understand what inspired him to be a great musician. Readers will discover the value of perseverance. After many rejections, I read the #MSWL website to see what other editors and agents were looking for. And there it was! Editor Charlotte Wenger from Page Street Books was looking for books like mine. I was thrilled to get the email from Charlotte. She loved the story! Soon after that I was on the phone with Charlotte and Kristen Nobles making plans. Working with Charlotte has been a wonderful experience. She helped me focus and shape a story that kids will love and hopefully be inspired by. I was fortunate to choose the illustrator for my book. Page Street encouraged collaboration and asked me to consider three different artists. Keith Henry Brown had the perfect artistic style for the story. 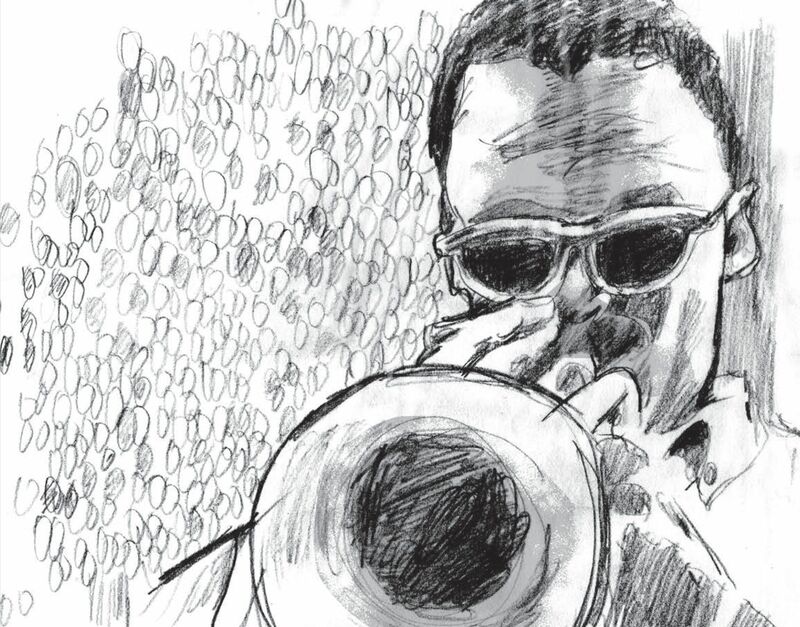 His art is evocative with beautiful free flowing lines and colors that create lively illustrations, the perfect match for Miles Davis’ story. I also appreciated the fact that Keith is a jazz fan. 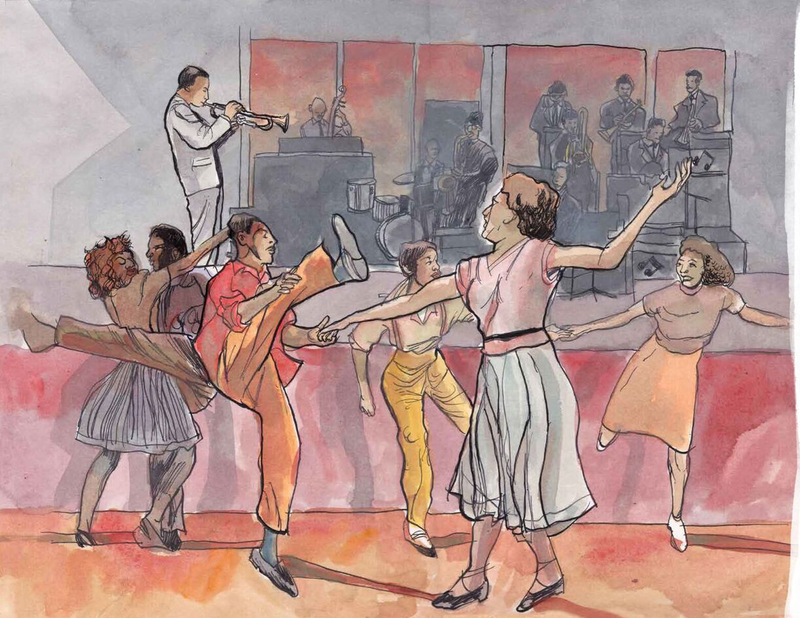 It was a lucky break for Kathleen to be teaching in the NYC schools when the arts flourished. She and her students worked with the NYC ballet, architects, writers, and fine artists. It was a wonderful experience for both students and teachers. While her students basked in the creative environment, Kathleen was inspired every day. She began writing children’s stories and creating sculptures with wood. After teaching, she had more time to focus on the craft of writing. 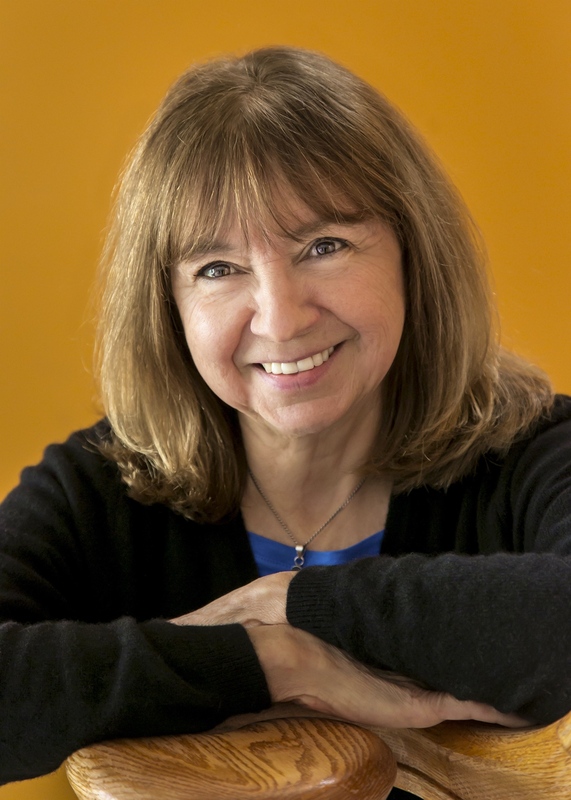 She joined critique groups, SCBWI and attended conferences to learn more. Kathleen lives in Queens, NYC with her musician husband, spends time reading, writing, creating art, attending jazz concerts and museums. “Dear Keith, I hope this email finds you well? We came across your work online and were immediately intrigued by your connections to the jazz world, and how your work is imbued with your love of jazz. 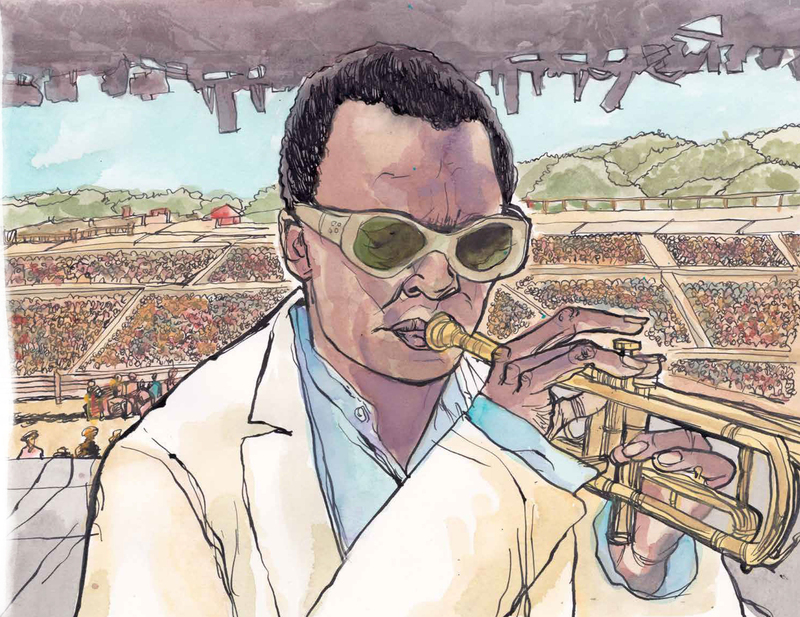 We recently acquired the text MILES DAVIS FINDS HIS SOUND, a lyrical, jazz-infused picture book biography about Miles Davis that recounts Davis’ musical development, with a focus on his childhood and early professional years”. For a cat like me, it sounded like a dream assignment and couldn’t have happened at a better time. But, even though I had been creating illustrations for magazines and album covers for years, having never done a children’s book, I still had my fears. Could I really pull this off? Early in the process, I had to let everyone involved in the project know I was a novice and they would have to bear with me. Luckily, I received a beautiful script by first time writer Kathleen Cornell Berman which I felt thoughtfully captured the tone and feel of Miles’ early life and his development in a nuanced, poetic way. Kristen asked for samples of how I would draw the young and older Miles. I knew this would be important, as it would dictate the look of the book. They (whew!) were accepted and we were off to the races. I learned a lot about the process producing a children’s book from this experience, as there are lot of steps. 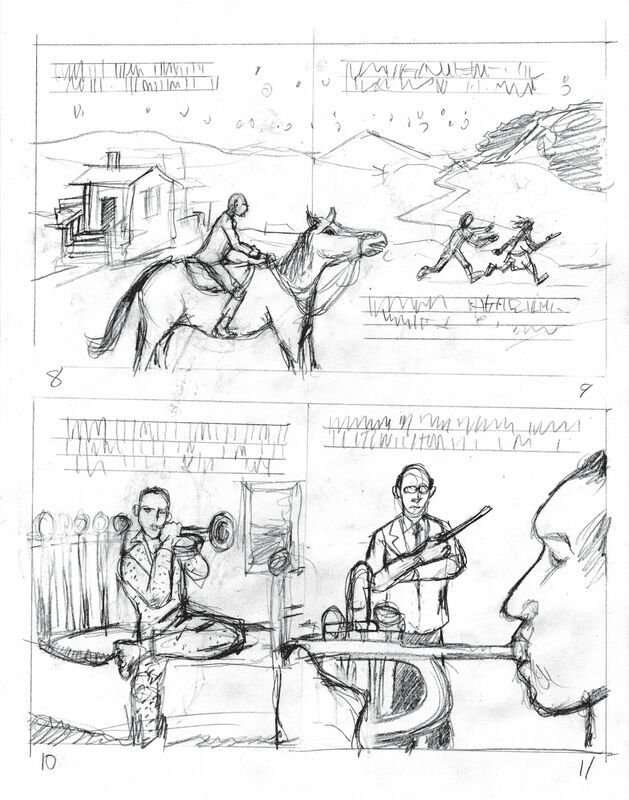 I found that the entire script must first be broken down in spreads with little thumbnails that dictated the action. This is hugely important, as it forms how the author’s narrative will be paced as a reading experience. I didn’t want my drawings to be too tight or realistic. I wanted them to have some of the feel of jazz itself: precise, while sometimes loose, and slightly abstract. I never know when I draw images related to jazz if I’ve ever really achieved this to my personal satisfaction, because it’s tough to objective about one‘s own work. My greatest inspiration in the world of jazz illustration art is the great David Stone Martin, who created dozens of extraordinary album covers for jazz labels like Mercury, Asch Disc most memorably from his longtime friend, record producer Norman Granz in the 1940’s and 50’s. In his iconic work, he exemplified what I have sought to do. 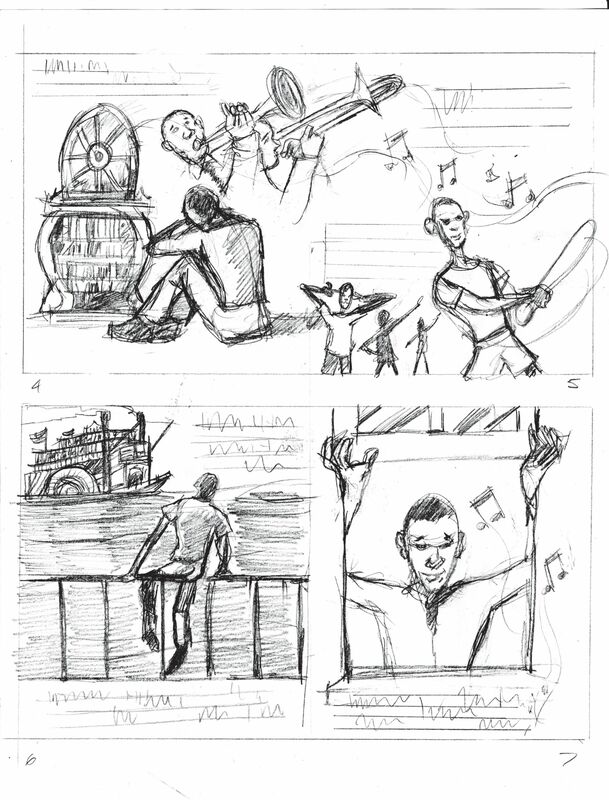 The next step after thumbnails comes the finished pencil drawings. This is where much of the editing is done as well, I found. 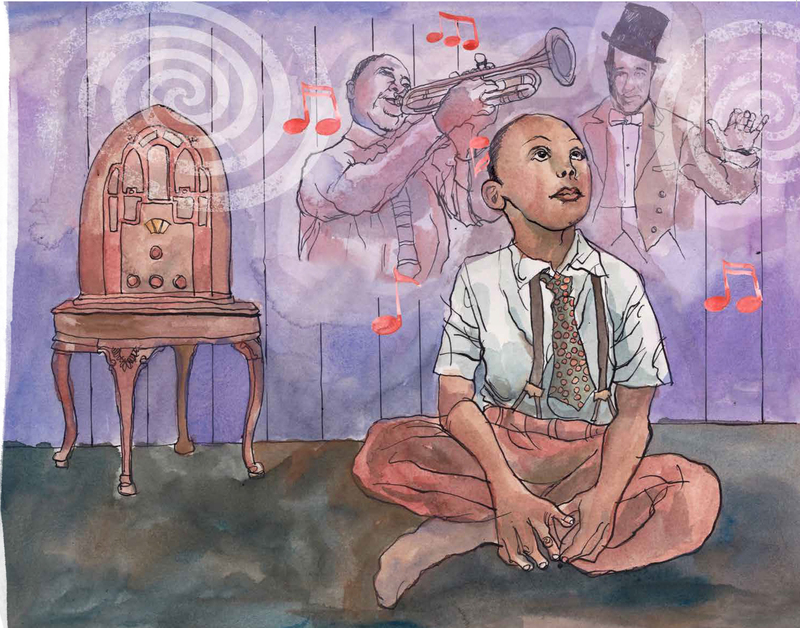 I drew each spread with more detail, depicting Miles’ life from the moment he first heard music at home on his family’s radio, to his father’s sprawling ranch, to his first arrival to New York and soon after, meeting his musical heroes, Dizzy Gillespie, and Charlie Parker in Harlem. Always on my mind as well was that I was tasked with telling the story with a very young reader in mind – some one who most likely wouldn’t know these names. This is where I received the most notes from the editors, offering me suggestions on how best to tell the story, what to emphasize, and where to focus. This was challenging for me, especially since I was used to drawing single images, not necessarily tell stories. Historical details are also a highly important, (If not pesky) concern. I transferred my finished pencils (with changes) by tracing them to cold-pressed watercolor paper, and began inking the lines using Higgins Black Magic in with a crow quill pen. After finishing the inked lines, I go to paint. It’s a slippery slope: once the paint is down, we’re at the Point Of No Return. Watercolor is, by nature, an unforgiving beast where every stroke must count; I think that’s why I love it. It’s like being a tightrope walker: the guide is there, and you know what path you plan to take, but need to stay on it. One sometimes wavers, and maybe even feels a bit unsteady – but if you hold true you might get a nice result – a little like a great trumpet solo. This entire process took several months before a final printed dummy was produced – and additional minor changes were made. My hope is that all the kids (and grow-ups) will dig what we’ve done. 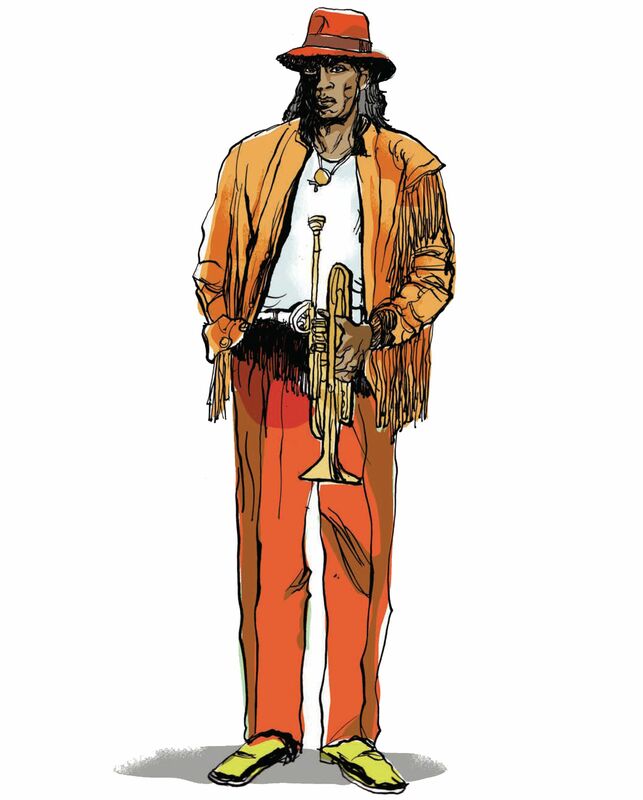 Miles is an iconic musical figure much more than the sum of his parts – trumpeter, musician, composer, innovator and there is no way any one book could begin to sufficiently describe his impact on culture. His style, his look, his cool. But maybe, we at least we provided in Birth Of the Cool a nice peek. This is Keith Henry Brown’s debut picture book illustrator. 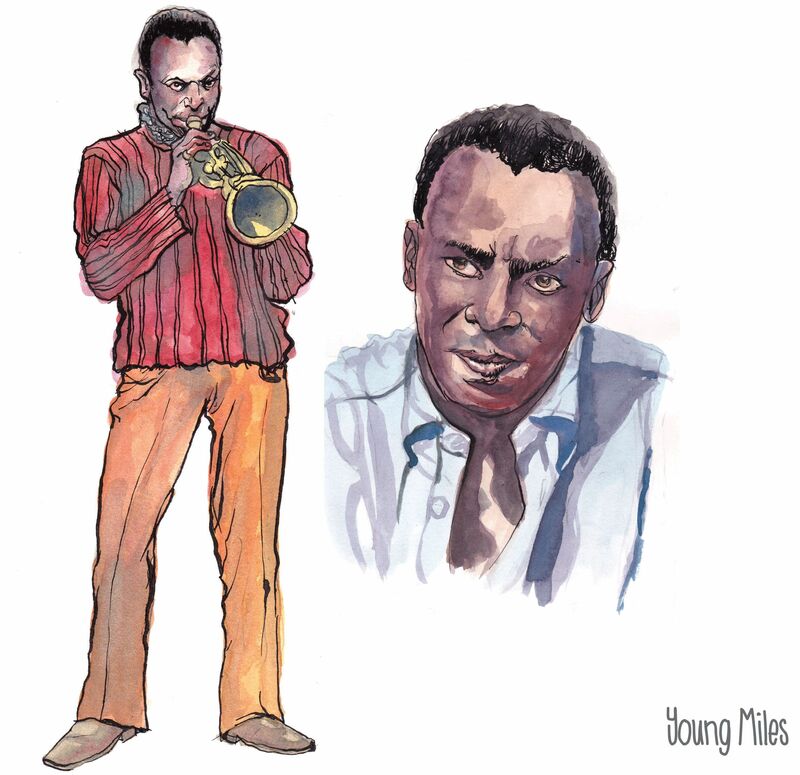 Keith got his start drawing super heroes, but jazz musicians like Miles Davis have always been heroes to him. 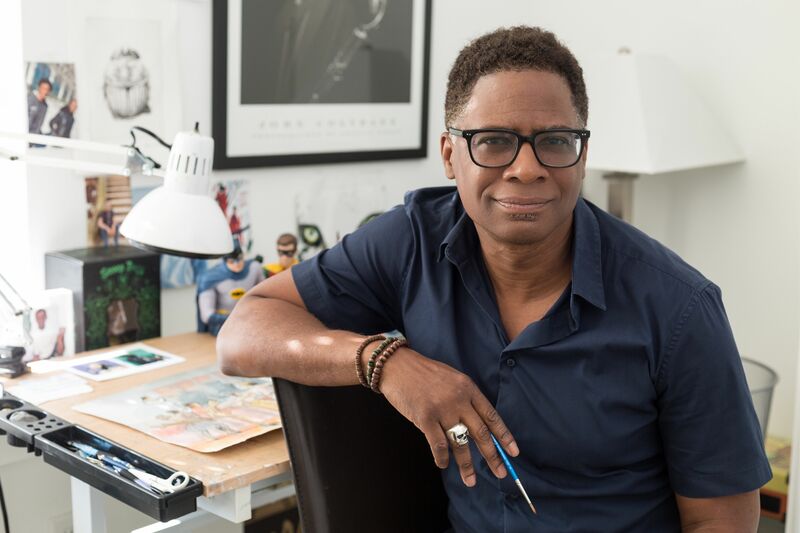 A graduate of the High School of Art and Design as well as Parsons School of Design, he combined his love of art and jazz as the creative director at Jazz at Lincoln Center. He has designed and illustrated promotional graphics and several jazz album covers. Born and raised in Staten Island, he now lives in Brooklyn, New York. In the late nineties, I forged a career in design and in 1997, became Design Manager for Churchill Downs, home of the Kentucky Derby. Then I became Creative Director at Jazz at Lincoln Center in 2001. Handpicked for the position by Artistic Director Wynton Marsalis, I designed marketing and promotional graphics for the 2004 opening of the celebrated “House of Swing”– a new facility specifically designed for jazz music, Frederick P. Rose Hall at Columbus Circle in New York City. 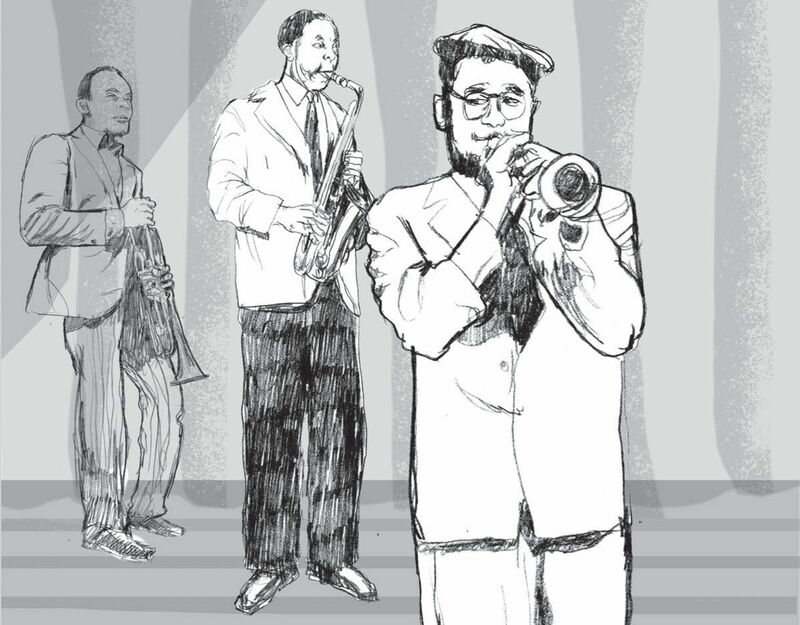 I’ve designed and illustrated several jazz CD covers for Christian McBride, Toshiko Akiyoshi, Duke Ellington, The Jazz at Lincoln Center Orchestra, and many others. Thank you Kathleen, Keith, and Page Street Kids for sharing your book and its’ journey with us. Keith’s illustrations certainly have brought your book to life and has captured essence of cool. What a book journey! This book will be a great one and inspirational to all the young, aspiring jazz musicians. What a wonderful book and collaboration. Congratulations to you both! I’m a big fan of Miles Davis’ music. Thanks for passing his legacy along to the next generations! I tweeted a link to this post: https://twitter.com/carlrscott/status/1117454045084446720, and pinned an image on Pinterest: https://www.pinterest.com.mx/pin/336573772150299616. Thanks again, have a great weekend!! Very cool you found the right editor and publishing house – and illustrator! Bravo, Kathleen! What a gorgeous book! I’m so happy for you and can’t wait to read it! Congratulations Kathy and Keith.Kathy, I love the idea so much of finding one’s “sound”, one’s voice and how you explore this idea so beautifully. And Keith, your illustrations are fantastic. Wow! What a great book. My brother would LOVE this! I can’t wait to read it. Keith, your art is WONDERFUL…a perfect complement to Kathy's story! Birth of the Cool looks cool. I’d love to learn more about Miles Davis, so I will be reading this book. WOW! Fantastic back stories about this new picture book. Cannot wait to find & read it. Congratulations on this double #debut #PB #Biography! 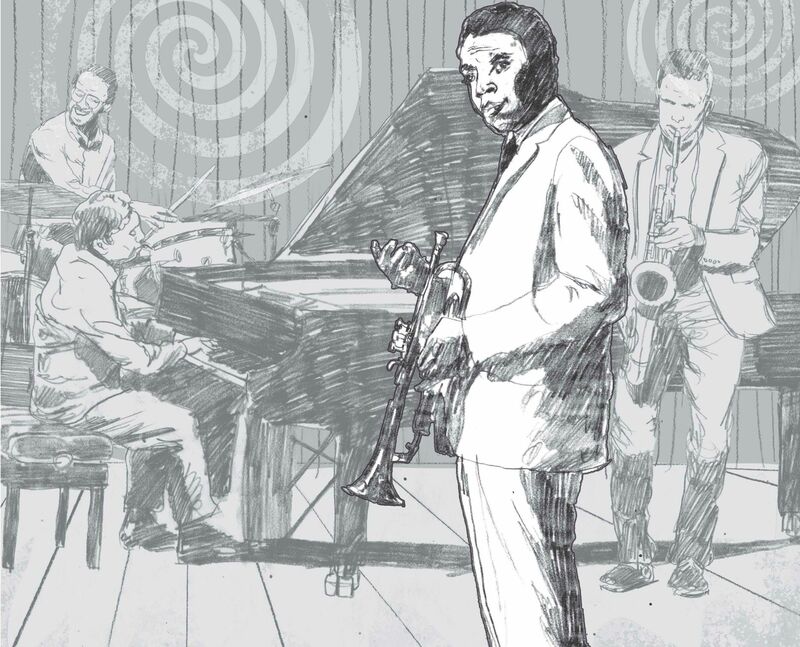 As a lover of jazz, I can’t wait to get this PB bio and delve into Davis’s story and the beautiful illustrations!